Rebecca MacMillan Fox is dean of UM’s Division of Continuing and International Education (DCIE). She has had a distinguished career in education, from K-12 through graduate school. As dean of Continuing and International Education, Fox leads a division with a primary mission of providing educational programs to meet the needs of nontraditional learners, including pre-college, part-time, international, and adult students. Prior to her appointment as dean, Fox led the division for a year on an interim basis, spearheading a reorganization effort that will result in a more focused, mission-oriented unit that cooperates closely with UM schools and colleges. Headquartered at Allen Hall on the Coral Gables campus, DCIE provides access to the public and degree-seeking students through short courses, seminars, workshops, lectures, and special events. In addition to coordinating weekend credit courses and providing advising services for returning adult students, the division also is an agent for outreach in the community, serving the corporate world with professional certificates, continuing education, and workforce training. Its Intensive English Program helps prepare a certain population of students to be successful academically at UM or other universities. Fox came to UM five years ago from the University of Rochester, where she served in various roles including senior associate vice president for University Advancement and dean of College Advancement. 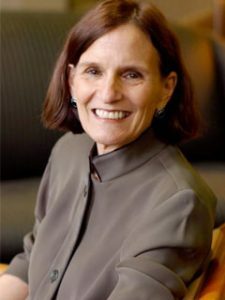 Previously, she served as dean of the College at William Smith College and head of school at the Bryn Mawr School in Baltimore. She holds a doctorate in French Literature from Bryn Mawr College.